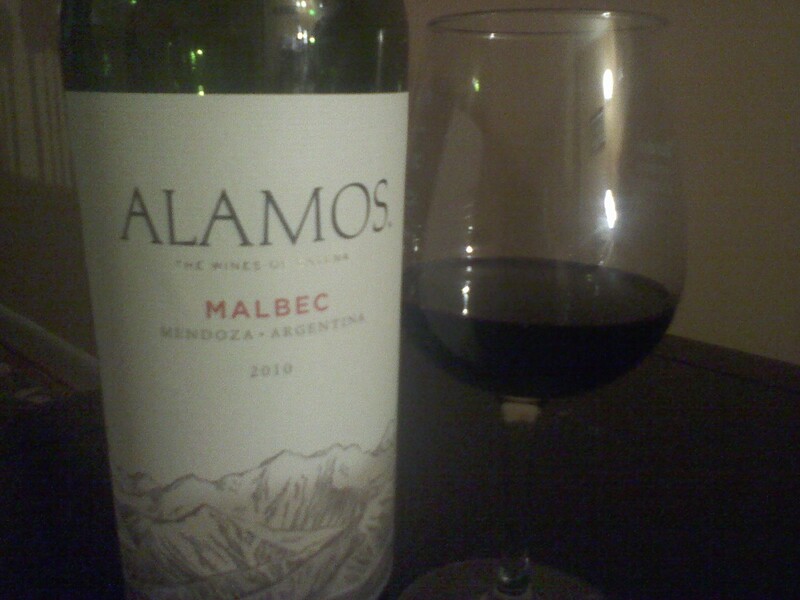 Alamos Argentine Malbec has rich fruit flavors with dark, earthy notes. It’s silky and elegant, with impressive structure and balance. The price is great at only 9.99 here in Pennsylvania. Remember cheap wine doesn’t always mean its bad, you will be suprised at what you can buy and how great it may taste. I’d say this is a 9 out of 10 on a rating scale. Thananks for the malbec suggestion…I truly love a good malbec. I agree. This is a great value. Thanks. Malbec is a wonderful wine – especially in winter. Another good nine-dollar malbec is Gascon. This is one of our favorites. My father in law owns a Wine Styles. I don’t know if they have them in Pennsylvania. You should check it out if you like wine! the store is organized by wine taste preference, and you can find wines you wouldn’t normally find in grocery stores. Ahh! If I wasn’t pregnant, I’d be enjoying a glass of chardonnay or two! I agree that it is tasty. However, I am horrified to see that it is $19.54 (when you do the conversion to euro) overt here in Ireland. We are soooo ripped off so much of the time. I am a huge Malbec fan. That’s a great one!